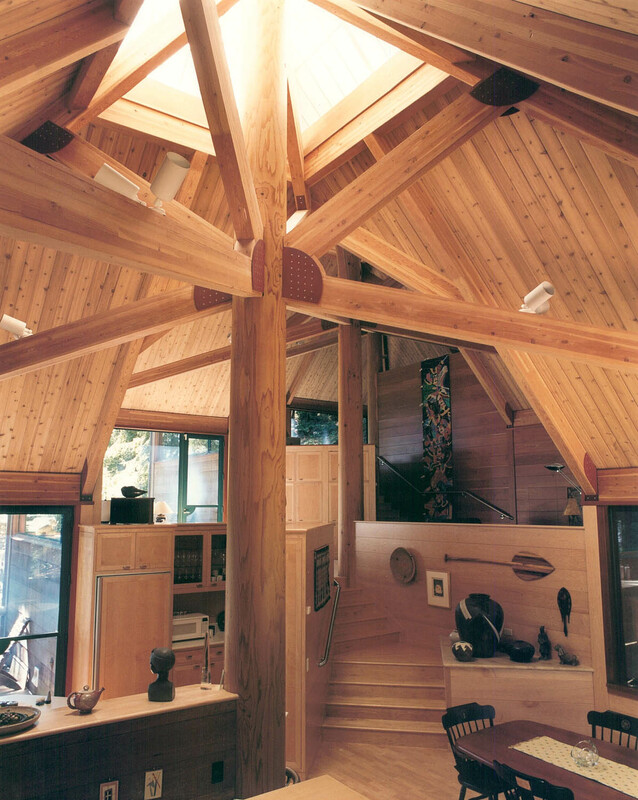 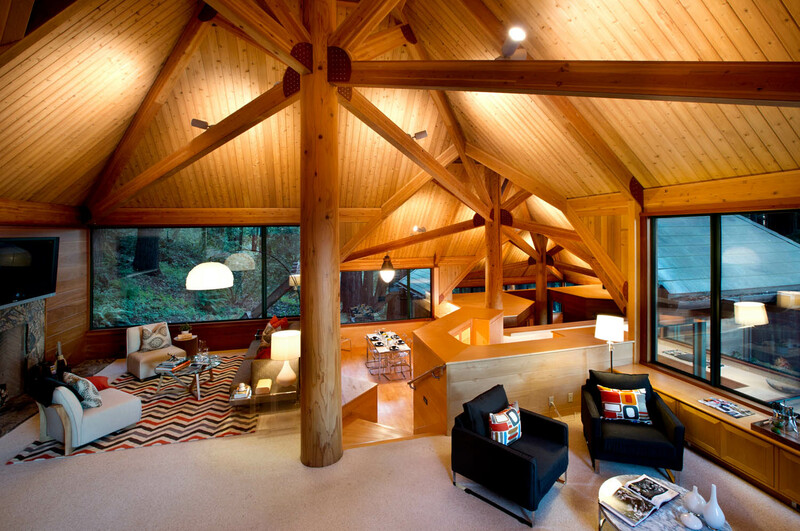 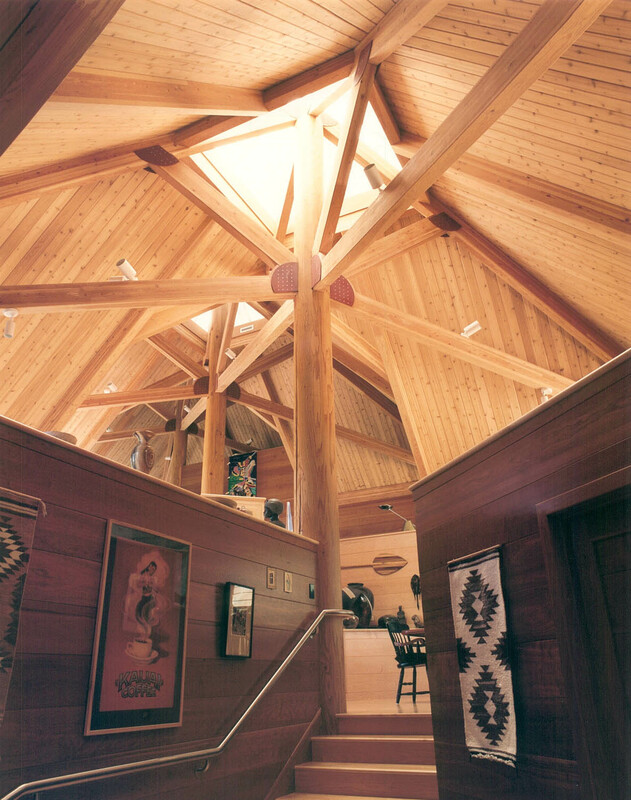 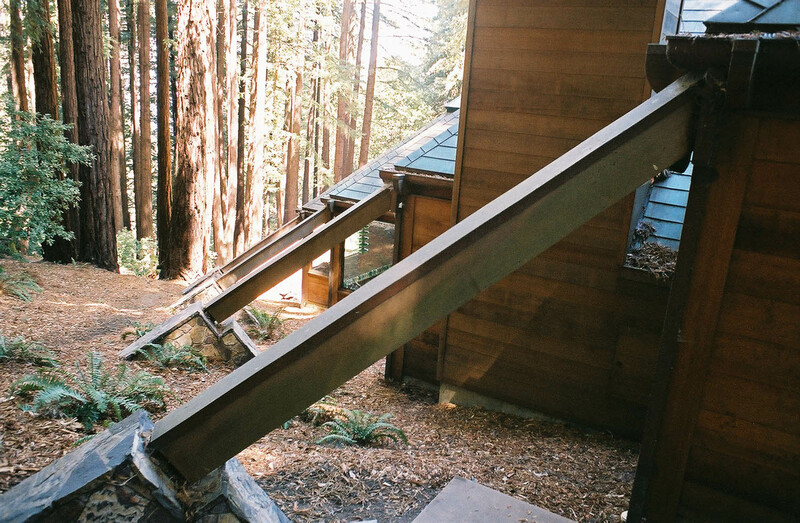 This house is designed to mimic the character of the site’s redwood trees as they interweave their limbs and step up and down the grade randomly. 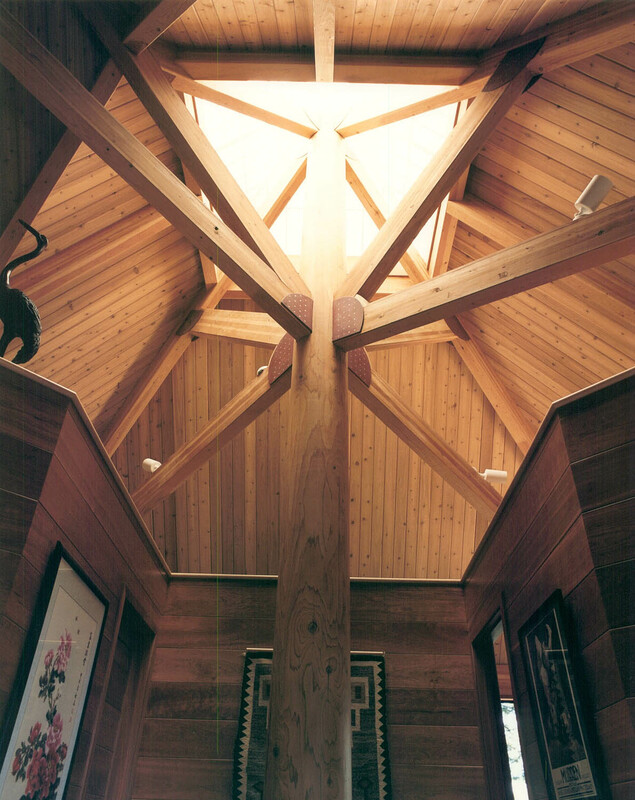 Four interlocking modules are internally open to each other, each with a central support pole and beams that radiate into adjacent modules and create a tree-like internal canopy. 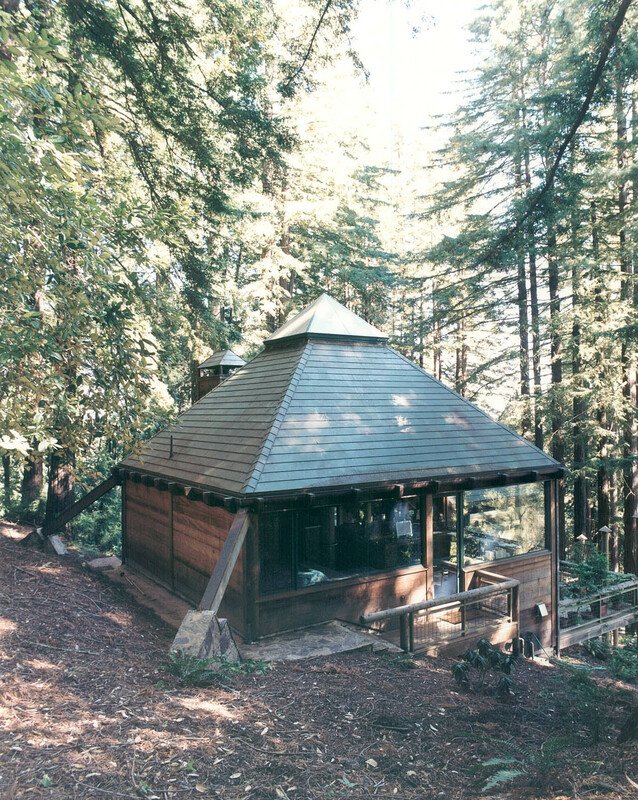 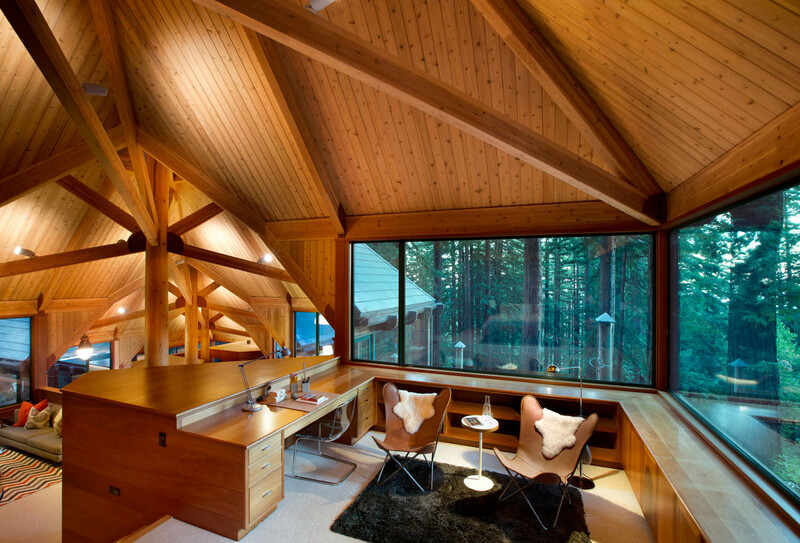 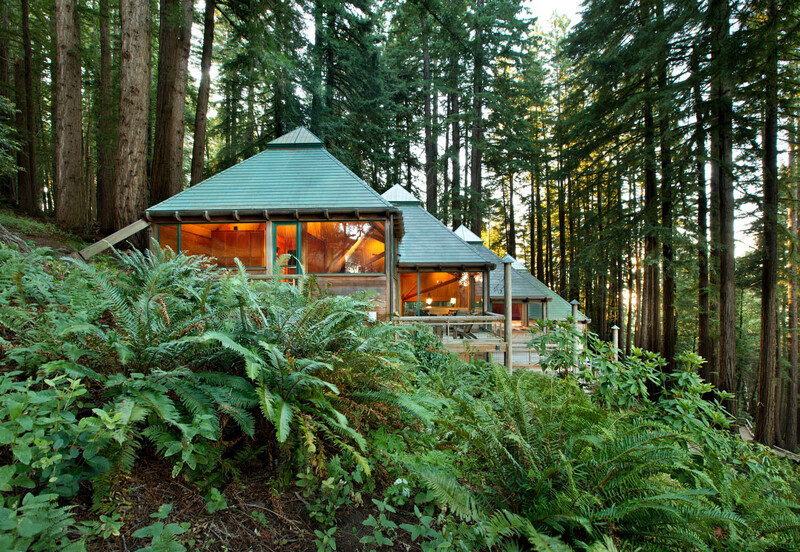 Exterior materials blend with the forest using a green patina copper roof and naturally weathered redwood siding.